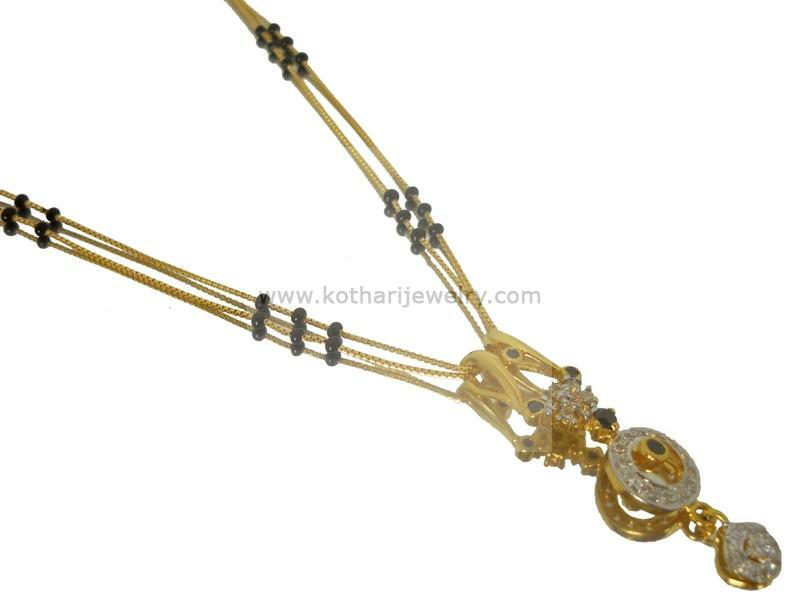 A party wear mangalsutra with 2 lines of delicate chain, studded sparsely with black beads at regular intervals. The mangalsutra comes with a signity studded ( american diamonds ) stone pendant. The mangalsutra is 916 22 carat hallmarked.